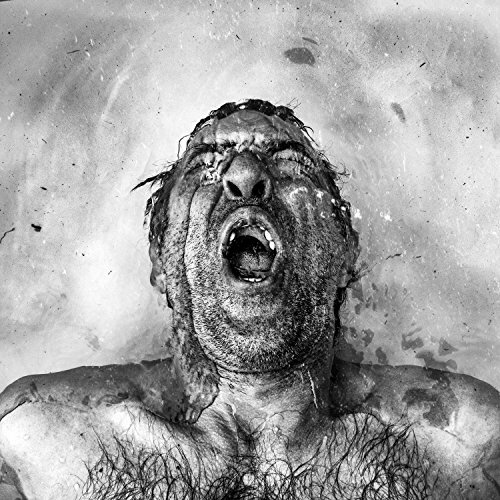 Spectres released Dying last year to justified acclaim, at least from those corners of the market listening to their debut album’s whip-smart industrial strength noise-punk. Whilst loosely aligned to the thornier end of shoegaze, the furnace blast of malevolent guitar, and ruthlessly unforgiving spray of vocal nihilism made that comparison problematic in seeding expectation about the band’s sound. Although there was a touch of Swervedriver’s dazzlingly sunlit wall of guitar sound, here the light was reduced to a glimmer. This was much, much darker. I personally likened them to Six By Seven, and particularly their debut album The Closer You Get from 2000. Six by Seven were also a band who counted MBV and Spacemen 3 as influences, but those influences were submerged beneath a brattish exterior where social commentary held centre-stage, not buried beneath the racket going on around it. The ambiguity about characterising the Spectres sound is properly reflected in the disparate collection of artists (incl Spectres themselves) remixing Spectres Dying. Aptly entitled Dead, (and for those that miss the point, the original artwork has been superimposed with a death mask and a few decorative caskets), the re-imagined tracks flay Dying’s carcass about until only the bones are in evidence. The unnerving predisposition of Dying is preserved, but here’s the shame, the subcurrent of shoegaze goodness dies with the mortal on the front cover. Contributors such as Mogwai’s Stuart Braithwaite and Ride’s Andy Bell ply their trade with the most success on ‘This Purgatory’ and ‘Sea of Trees’ respectively, but for the most part this project simply wrings the last bit of humanity out of Dying. Cool, if necrophilia is your thing. ‘Kill our songs’ invited Spectres, and they did. Disappointing to hear it's a poor remixed album. On the other hand Rob it's good to find another Six By Seven fan. Very underrated band in my opinion. Maybe in their opinion Dead is a lark or artistically relevant, which is OK. I just think the character of the original is undermined. Thanks Steve, I'll have a listen to their latest.